Putting together a menu for a party to celebrate the holidays or other special occasions can be challenging because the food selection can make or break the evening. One way to get it right is with outstanding finger foods. 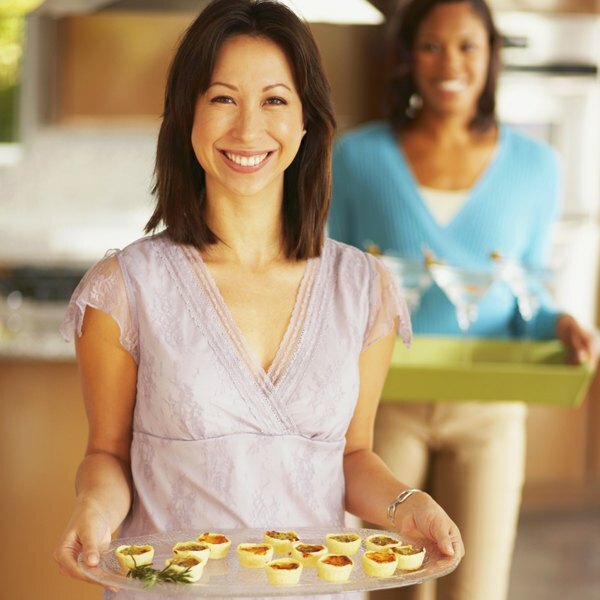 To help you with your next soiree, Gena Berry, Certified Professional Catering Executive, of Culinary Works in Atlanta, shares 10 proven finger food ideas. Quick and easy to make, they'll have you mingling and munching with friends in no time! A tried-and-true party appetizer, the shrimp cocktail takes almost no time to put together. Berry takes it a step further by marinating the shrimp beforehand. She suggested tossing boiled, peeled and deveined shrimp in a dressing of vinegar, lemon, parsley, capers and a little oil. Serve cold, with or without cocktail sauce. 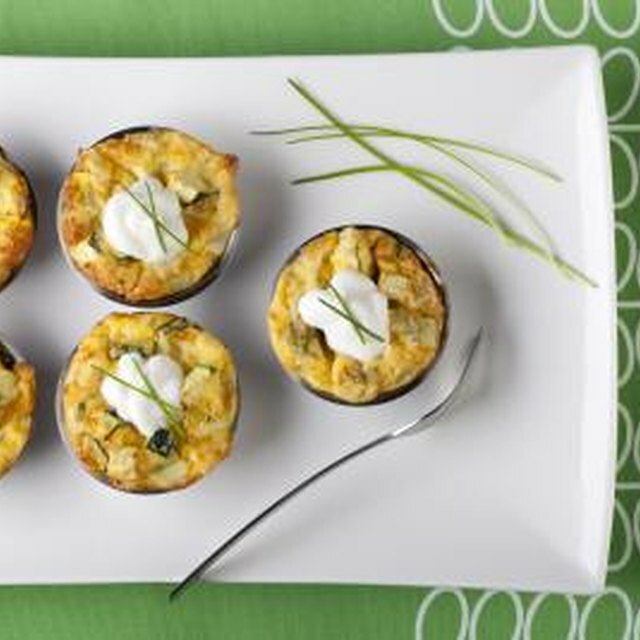 Mini corn cakes go from ho-hum to yum-yum with two simple additions. Bake your favorite corn cake recipe, making silver-dollar-size cakes, and top with a crown of plain crabmeat or shrimp and a dollop of aioli. This finger food is super-easy to put together, Berry said, and will make a big impression on your guests. Any finger food with cheese is almost certainly a winner. Cheese straws are no different, especially when kicked up a notch. Berry suggested making cheese straws by mixing butter, cheese, self-rising flour and cayenne to form a dough, then putting the dough through a cookie press to form straws. Finally, sprinkle with benne, or sesame seeds, and bake. Guests love dips, but for parties Berry suggested something more than the usual potato chips and ranch dressing. Make a pimento cheese dip by mixing diced pimento, mayonnaise, freshly grated cheddar cheese and pimenton, or Spanish paprika. Serve with pumpernickel pretzel sticks or your favorite pretzel flavor. Offer your guests a standard appetizer in a whole new way. Berry suggested serving classic ham salad sandwiched between savory profiteroles. You can purchase unfilled profiteroles at many grocery stores and warehouse clubs, or make your own. Bacon is a must-have at parties these days, so make sure to include it on your menu. Berry's recommendation? Bacon-toasted Tabasco pecans. Fry bacon in a pan, then add pecans and toss together. Season with Tabasco seasoning salt or Tabasco powder and seasoning salt, and then toast in the oven. Allow to cool before placing in a serving dish. Why serve plain chips when you could offer guests Berry's deluxe version: Parmesan toasted pita chips. Simply mix freshly grated Parmesan cheese mixed into mayonnaise, spread on on pita wedges and bake at 400 degrees until crisp. Yum! Kebabs traditionally involve meat, but give this finger food new life with a Mediterranean twist. Drizzle cherry tomatoes, mini fresh mozzarella balls and basil leaves with balsamic reduction, olive oil and Maldon sea salt, Berry said. Place on fondue skewers in repeating patterns and serve. Anything served on a spoon is a can't-miss choice. Berry suggested spooning up a dollop of whipped blue cheese with crumbled, toasted pecans, or fresh goat cheese with brunoise beets drizzled with honey and a grain of sea salt. Prepare on spoons and place in a circle on a serving platter. Garnish with parsley in the center. Dessert is usually served as a whole and then divided into serving portions. Berry suggested that you skip ahead to individual sizes, making sweet treats such as bite-size Scotcheroos (peanut butter Rice Krispies treats topped with chocolate butterscotch), chocolate brownies with a dollop of mint frosting, or slices of toasted pound cake. For nearly 20 years, Karon has covered lifestyle, travel and family for print and online publications. In addition, raising her own children has provided firsthand experience that adds valuable insight to these topics. When not working, Karon and her family enjoy getting outside and enjoying the North Georgia Mountains where they live. Follow Karon on Twitter and Instagram at @karonwarren. What Scary Appetizers Can I Make for a Halloween Party? What Is a Frosted Malted?